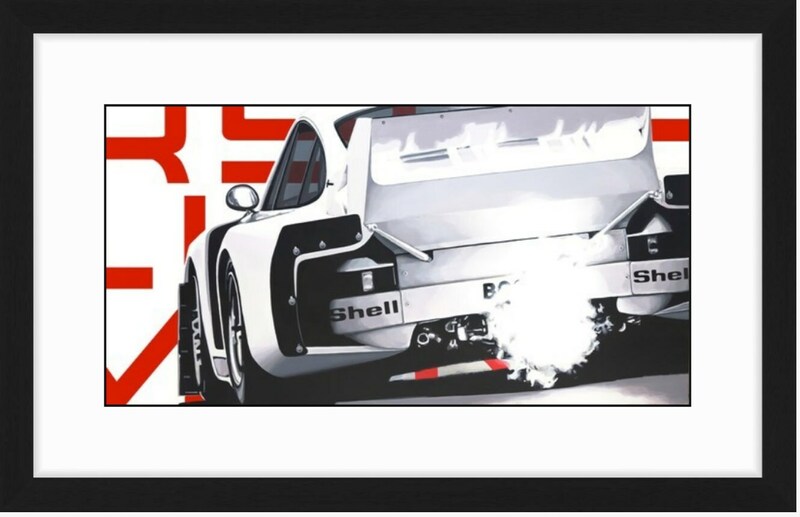 In the 70s and 80s, the Porsche 935 dominated GT Racing. In addition to winning the 1979 24 Hours of Le Mans, the 935 would go on to win the 24 Hours of Daytona and 12 hours of Sebring a total of six times each. 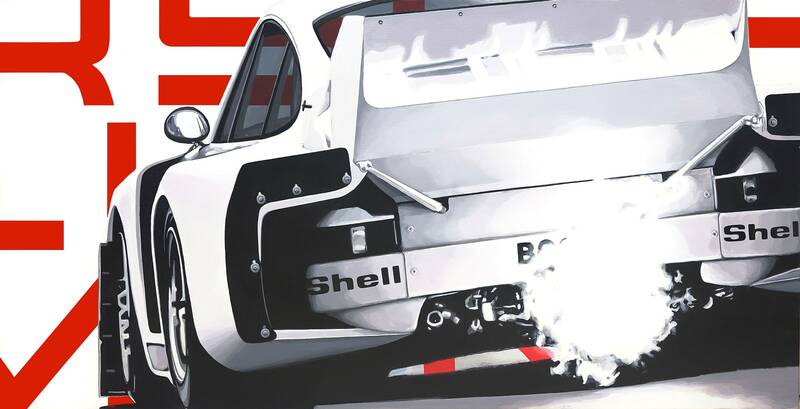 Legendary car, legendary drivers, the Porsche 935 had the best of both worlds. 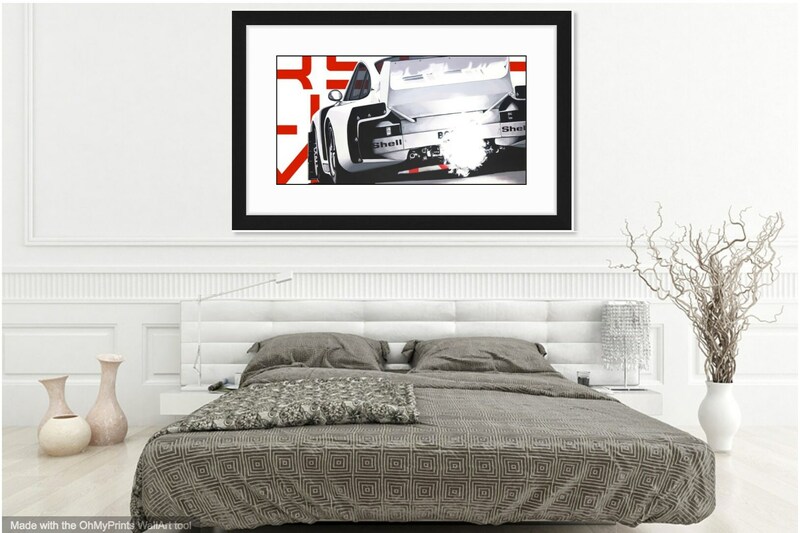 The original Acrylic-on-Canvas painting was intended to celebrate the legacy of Porsche's racing heritage while tying in Porsche's current racing program (hence the "Porsche Intelligent Performance" background script that composes their current race livery).